Women in the Navy and Marine Corps hoping to raise families while advancing their careers are about to get a big boost. Starting immediately, paid maternity leave is tripled expanded from six to 18 weeks for new moms, Navy Secretary Ray Mabus announced on Thursday. "When the women in our Navy and Marine Corps answer the call to serve, they are making the difficult choice to be away from their children — sometimes for prolonged periods of time — so that they can do the demanding jobs that we ask them to do," Mabus said in a release. "With increased maternity leave, we can demonstrate the commitment of the Navy and Marine Corps to the women who are committed to serve." Mabus first announced his intention to expand maternity leave in a May speech at the Naval Academy, where he floated the idea of expanding leave to 12 weeks. The new 18-week figure was inspired by Google's maternity leave policy, according to chief of naval personnel spokesman Cmdr. Chris Servello. When the company increased its policy from 12 to 18 weeks in 2007, he said, they found that half as many new moms were leaving the company. The Navy and Marine Corps have a similar problem when it comes to women getting out to focus on their children. 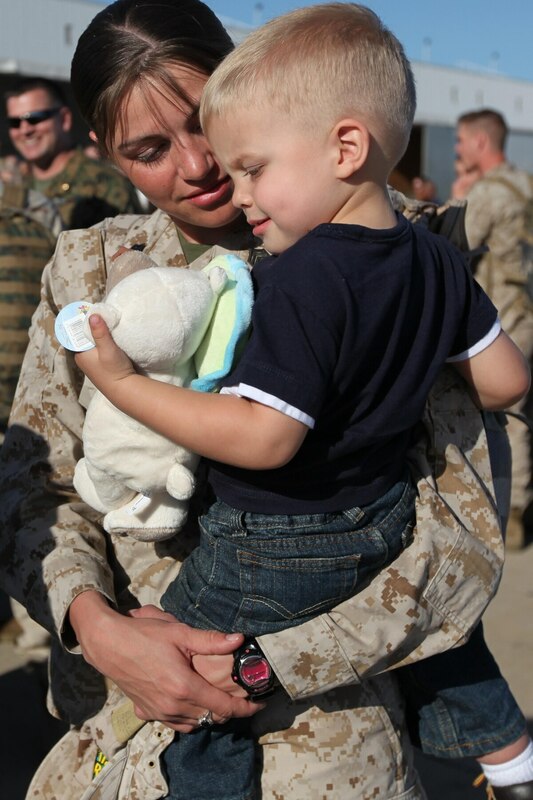 The hope is that women will be more likely to stay on active duty if they have more time with their newborns. "Meaningful maternity leave when it matters most is one of the best ways that we can support the women who serve our county," Mabus said in the release. "This flexibility is an investment in our people and our services, and a safeguard against losing skilled service members." And women who are currently on maternity leave or about to start it will benefit as well. The new policy also applies to any women who have gotten their maternity leave authorized since Jan. 1. Current data estimate that about 5,000 women a year are eligible for maternity leave. The benefit will not extend to adoptive parents or new fathers, Servello confirmed. Maternity leave and parental leave are governed separately, so while Mabus has authority to expand leave for post-partum mothers, expanding leave for adoptive parents and fathers would require a change to laws set by Congress. This latest move is part of a larger push to accommodate parents in the Navy, led by Mabus and the chief of naval personnel's office. Additionally, on-base child cares began implementing a new schedule this year — opening two hours earlier and closing two hours later — to allow parents to work long hours, a common occurrence in the Navy, and still have reliable childcare.